CryptoSlots is a cryptocurrency online casino with mobile games, established in 2018 using games powered by Slotland Entertainment software. It is operated by Slotland Entertainment S.A. and is licensed under the jurisdiction of Anjouan. CryptoSlots really doesn’t restrict any country, as long you can access the gaming website in your browser, you can register for an account. Now accepting Monero (XMR) – Popular, High Privacy Crypto. Brand new Crypto Lotto gifts players thousands every month! Tickets are earned by spinning slots and 20 Winners are chosen per lotto. New slots Blazing Wilds and Deep Blue will land on player’s screens this March, with many more games to come! 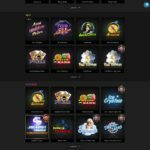 As it has just been released in May 2018, CryptoSlots offer a limited of 21 games on the site with new games added every now and then like Fruit and Bars, Full Bloom, and Aztec Adventure which was added recently. The site also has its golden slot known as Jackpot Trigger where players can win up to $10, 00,000 on a single spin. The only downside is the slot requires Jackpot tokens to play with, which seems reasonable. Players receive a coin on every $100 win. The coin does not expire after a certain time so the player can choose to play whenever they want to. One coin buys a single pay line out of 10. A maximum of 10 coins can be placed on a bet. The game can be won by matching colors, numbers, or both. If a player is unlucky on their first try, they get one hold feature spin where the player can select one of three colors and their symbols will stay in place for next spin. The bonuses are the real deal. New players get a 111% welcome bonus on their first deposit, 77% bonus on their second deposit and 99% bonus on their third deposit while also expecting 77% cashback bonus every Wednesday. Their live casino games, although limited in number, are a dose of fun and entertainment for the players. The video poker games include Jacks or Better, Double Bonus Poker, All American, and Aces and Eight. All these games include bonuses on deposits and win for welcoming new players. From an experienced casino business, it was well expected that there will be a mobile version for the casino to keep up with the race and Slotland Entertainment have not disappointed its customers with their expectations. The games are well optimized for the mobiles and are available on every operating system which includes Android devices, Blackberry devices, as well as Apple devices all including both phones and tablets. The site offers live chat and email services 24/7 which can help customers with their game or account problems. The site also has FAQs with comprehensive yet useful answers regarding account setup. Unlike other online casinos, CryptoSlots have a unique software named Provably Fair through which players can easily verify the randomness and fairness of results in all the games you play. This ensures maximum transparency in the games by the casino. The Provably Fair means no one, including the operators, can know the outcome of the game which can be tampered without players’ knowledge. This means the game is completely unpredictable and depends on the player’s luck. The method works by presenting a hidden set of definite outcomes of the play before the game is played. The players are then allowed to choose a value in the game which will influence the outcome of the game. When it ends, players can verify whether the outcome was fair or not by checking the initial data and how their choice affected it. The players can verify every slot and poker games on the site. Since the casino deals in cryptocurrency only, it can be said that this site has the best security to offer in the gaming business. As mentioned by the site itself, the players can track each and every transaction or bet that they made with full transparency.